Our bones are responsible for providing an internal framework for our bodies, and along with our joints, allow us to stand and move comfortably. The endocrine (hormonal) system ties in closely with the bones and joints in many ways, primarily with respect to bone density, but does much more as well. The endocrine system is a group of glands. The major endocrine glands are the pineal, pituitary, pancreas, ovaries, testes, thyroid, parathyroid and adrenal glands. These glands secrete hormones into the blood stream that communicate with target organs in other parts of the body. This is known as endocrine signaling. Endocrine signaling is slower to initiate but lasts much longer than the signaling in the nervous system. The effects of these signals can last from hours to weeks. The body is designed to stay healthy. When our body’s cells become old or damaged, they must be repaired or, if repair is not possible, replaced by young, healthy cells. Apoptosis, and its associated pathways, is the process by which the cells that make up our bodies are either repaired, or, if repair is not possible, are removed so that they can be replaced by new, healthy cells. These processes (repair, removal, rejuvenation) take place every minute of our lives, and are necessary for optimal health. 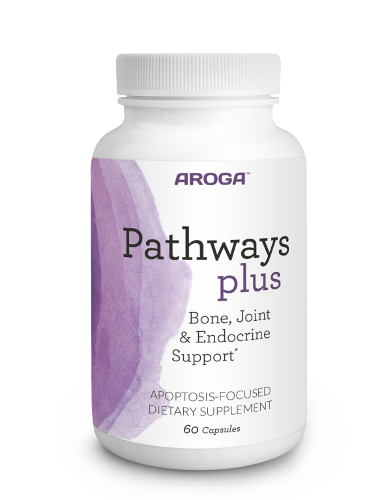 Aroga Pathways Plus Bone, Joint and Endocrine Support provides nutrients, not normally found in the modern Western diet, required for bones, joints and the endocrine system to be rejuvenated and function optimally. 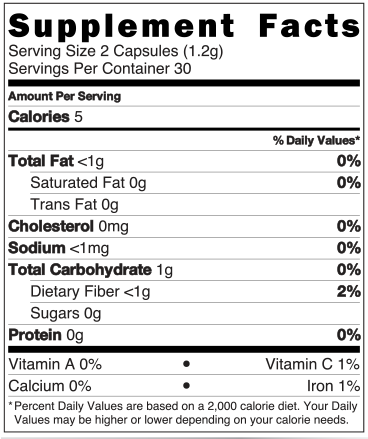 Each capsule (all-vegetable) of Aroga Pathways Plus Bone, Joint and Endocrine Support is based on cutting-edge cellular science, and consists of 100% plant-based nutrients, contains no fillers or binding agents and is hand-filled in the USA.